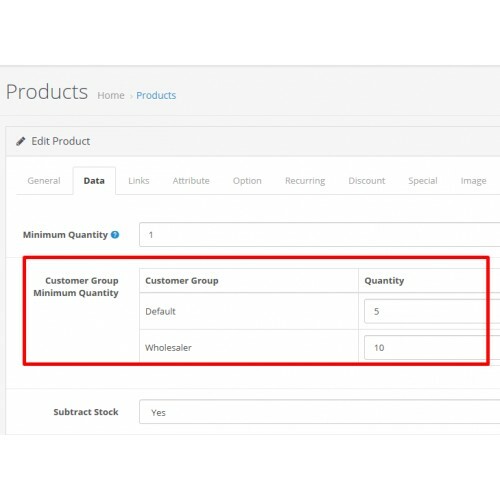 This extension helps you to setup product separate minimum quantity for different customer groups exists in website. 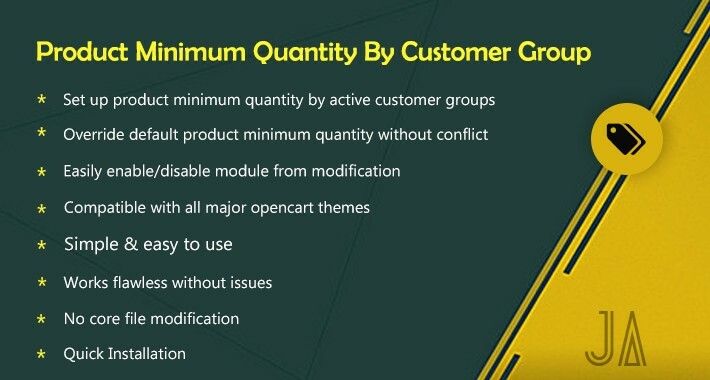 Different customer groups are force to buy different minimum quantity for same product. 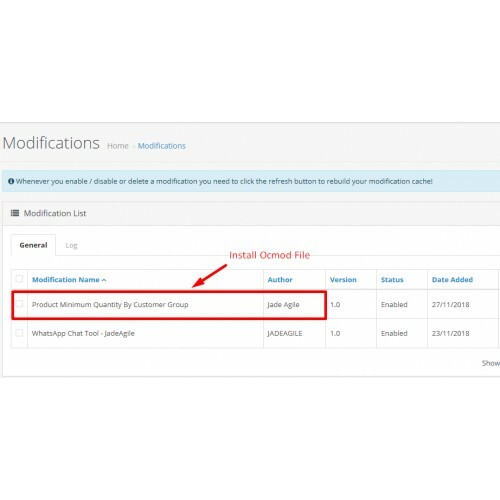 Customer group product min quantity OCMOD is easy to install using the new OpenCart Extension Installer Or using VQMOD. 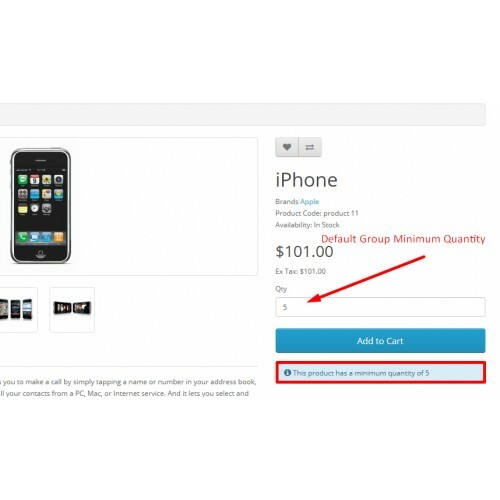 With this extension, you can setup separate minimum quantity to different customer groups for products in your store. 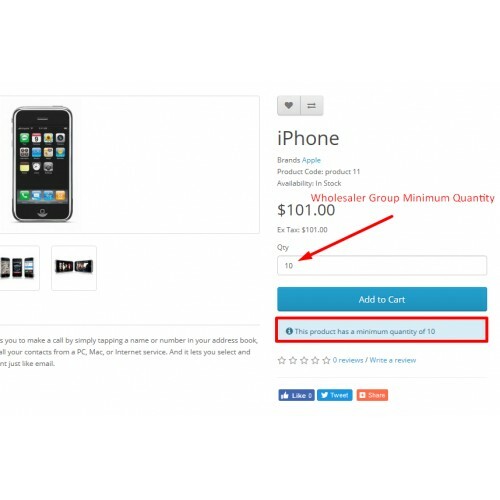 This extension helps you to handle different minimum quantity for different customer groups.